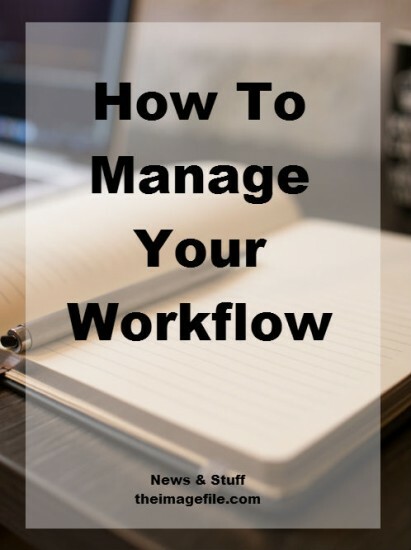 Managing your workflow is key to helping drive your business forward. Securing customers often leaves some gaps around the actual production and successful delivery of the work. Added to that, the onus of running a number of jobs concurrently and ensuring your work is of the highest standard possible in each case, then you truly have a few potential banana skins placed around your business. First up, the sales pipeline needs managing in order to secure regular and worthwhile business. There are several levels here, linked directly to the size of the jobs at hand and the resources required to deliver them. …the sales pipeline needs managing in order to secure regular and worthwhile business. Photographing families and small celebrations or events gives you a quick fire solution to keep money flowing in to the business. The output from you is relatively small (i.e. the edit time and time on site) and assuming your expertise, a great result is well within your grasp. Having a web site to manage this will ease the pain of time consuming jobs such as fulfilment and showcasing the images to the client, whilst ensuring the job can be turnaround quickly. Create a time sheet for each client you have and log the time spent on each task, that way you can keep tabs of your time. At the end of each job you can work out the hourly rate you earn, you can tweak your rates moving forwards if required if some of the results are alarming and it will focus the mind when taking on similar type jobs moving forwards. The sales pipeline definitely needs constant attention, but then so does the management of the workload on those customer jobs. Scheduling a proper timetable of work, allowing for flexibility, troubleshooting and client feedback, gives you an overview of how to deliver on time and hopefully without too much stress. Ask yourself how often you’ve found yourself saying to someone that you’re really busy, or overhearing that very same thing? Chances are very often and if we actually thought behind this phrase, it’s more likely the number of small jobs is making us stress about where to start. The timetable will give you a digestible plan to work to, and being able to work efficiently on a variety of small jobs will drive us to the end goal. You can be busy doing a lot of things not very well. With a small business and one single product, it would be easy to focus on one thing. It’s also easy to remain quite introverted, stay within the comfort zone and stick to the tried and trusted. Work into the timetable periods where getting out, making connections, setting up meetings, trying new avenues are the order of that morning or after lunch for an hour. This will refresh your mind for the more mundane tasks and provide impetus. Why not set aside an hour every morning to focus solely on the sales and marketing of your business? Why not park invoicing / accounting until a Friday afternoon so you don’t get distracted during the week and lose focus? Remember, to fail to plan, is to plan to fail and your time is super precious! In your opinion what is the best way of managing business workflow?